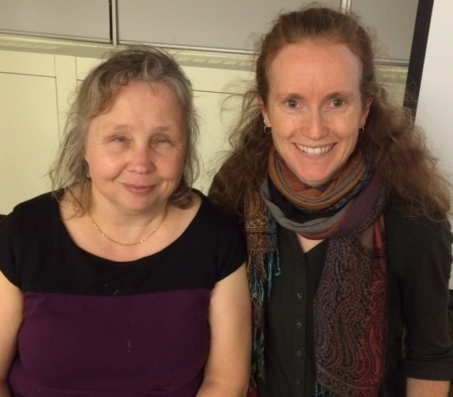 BIST members had the opportunity to hear Melanie Moore from the Centre for Independent Living in Toronto speak at our November community meeting. Moore talked about Safe Inclusive Toronto Streets – the idea that Toronto’s streets should be safe for everyone who lives here, whether they have a disability or not. Melanie showed us a self-defence video taught by Savoy Howe of Toronto News Girls – a boxing club for women and trans people which focuses on empowerment and “exploring the art of boxing”. In the video, Howe showed people with disabilities – the majority of whom were in wheelchairs – how to throw traditional boxing punches versus “street fighting” punches. Moore emphasized, as did Howe in the video, that self-defense is just one part of safety training. Using your voice effectively can stop a potentially dangerous situation from escalating, for example. If you’re in trouble, yell “fire.” People are much more likely to respond to “fire” than “help” or anything else you can yell. Get a case for your cards which lets you use them without taking them out of the case – they’re not expensive and means you don’t have to expose all of your cards. The City of Toronto says people with disabilities and seniors can have their sidewalks cleared of snow for free this winter. You need to register in advance. Next meeting: BIST Holiday Party!